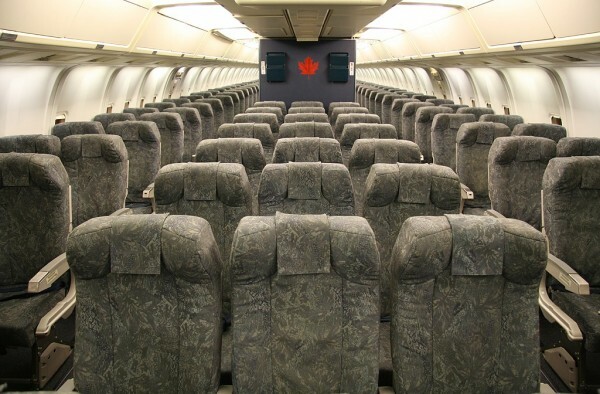 As of November 2010, Air Canada’s fleet operated 41 Airbus A320 aircrafts, with no additional ones expected to arrive in the near future. With a length of almost 38 m and a wingspan of 34 m, the Airbus A320 is capable of a cruising speed of 828 km/h/511 mph at 11,000 m/36,000 ft. Its maximum range is 5,900 km/3,700 mi, its service ceiling 12,000 m/39,000 ft, and maximum speed 871 km/h/537 mph at 11,000 m/36,000 ft.
Power ports are available although an adaptor may be needed. There are 10 audio channels with complimentary headsets as well as main screen videos which offer feature films on flights over 3 hours and short features on flight over 1.5 hours. Executive class passengers have adjustable headrests, cushions and footrests, lumbar support and leg rest extensions as well as recline and massage facilities. Air Canada used to run two flights a day from YVR with 767 service. Unfortunately, the one carrying on to SYD with the more spacious seats was booked solid. So I ended up on the older -200 model configured for domestic service. Nothing wrong with the seat per se, but 5 hours with only 38" pitch did seem a bit excessive. Just as glad I wasn't in economy. AC has replaced its SYD service with a direct flight on its new 777 -- am looking forward to trying out their new J class pods one day soon. The flight was enjoyable, staff members were very polite and helpful. Movies up to date and of good variety. Leg space was good overall enjoyable. Would suggest however that you enforce the one carry on rule to avoid frustration for all. Also suggest that cabin crew start serving food from the back of the A/C once in a while this way the folks in the back could get their choice from time to time. Overall an excellent flight. Thank you. Nous avions sélectionné ces sièges dits préférence et je dois dire que l'espace pour les jambes est vraiment plus grand que celui des autres sièges. Cela vaut la peine du supplément. En revanche, c'est une rangée de 3 places, donc on dérange forcément la personne assise côté couloir. Celui-ci est tellement étroit qu'il vaut mieux prévoir vos déplacements aux toilettes, car impossible d'y aller lors sur service des agents de bord. Bouffe médiocre compte tenu du prix chargé. Seats are comfortable in ancceptable way for a flight of 5-7 hours but not more. Personal entertainment system is not provided to coach passengers. They are well-mantained and have an acceptable amount of space between them. Cramped seating for the huge cost. Another failure in design from Air Bus and Air Canada, almost impossible to get out of, the person in the aisle seat has to get out for the window seat to get by, poor reclining. Go back to Boeing, get an aircraft designed for the passenger, not the bottom line. Great window seat with legroom. 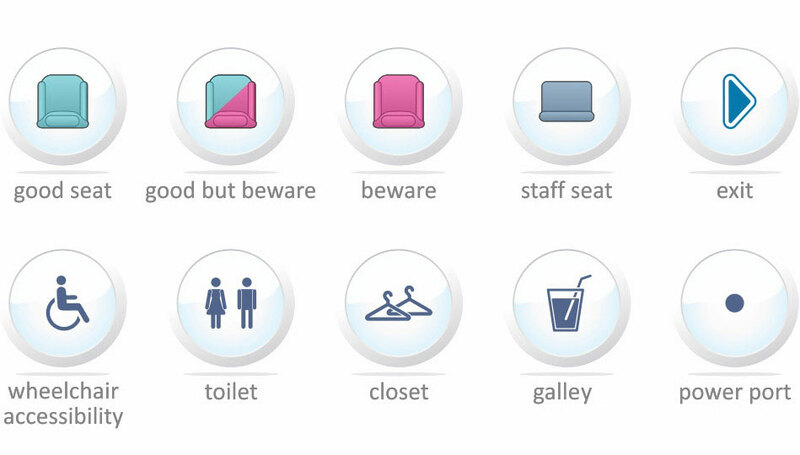 It is an emergency exit seat, so you must be able to fulfill duties along those lines. Being on an emergency row means the seats do not recline, so factor that in. Best views along this PHX-YVR route on the starboard side of the aircraft include a full view of the Columbia Basin. Seat 1F has to be the worst seat in Executive Class. The pitch and seat width are fine but having to constantly reach forward for the touch screen IFE gets tiresome very quickly. Having some sort of footrest and preferably a lumbar support system would make the seat infinitely more comfortable. 32b 32c and 32e phonejaca were not working correctly one had a horrible noise the other had to be held to hear in one ear and 32 e did not even work. Horrible. Passengers waiting for washroom kept moving my seat by holding on. Terrible seats! NO leg room at all. The magazine holder on the seat in front of me was hanging off one side. BUT - the staff are FABULOUS!!! First class on this plane is wonderful! Huge seats/lots of leg room to move around. Wonderful service my the attendants. Great good! overall: Perfect!